Notes: Château de Saint-Hilaire is a French castle of the thirteenth century located in the town of Curemonte e n Corrèze, in the Limousin. 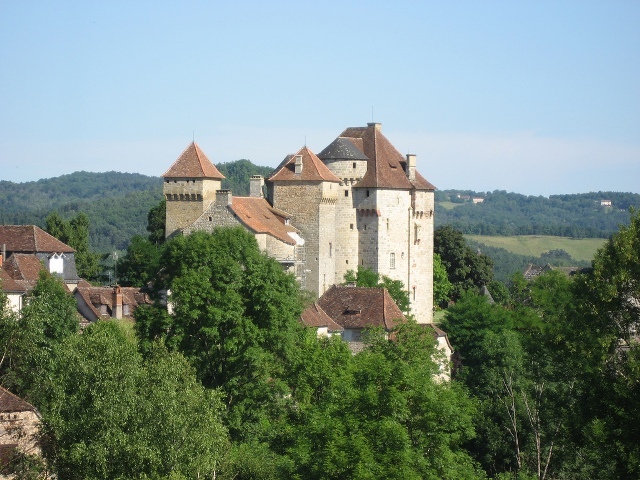 The first owners of the castle are the family of Saint-Hilaire. The area on which the castle was built just for them Curmonte. In 1305, he also mentioned the tribute to the Vicomte de Turenne by Gerald Saint-Hilaire for all property in the parish of Lostanges. It then passed to the family Lostanges Aymard. On a tower dating from the fifteenth century stands the lion Lostanges. In the sixteenth century, the house passed to Gabriel Cardaillac (marriage Anne Plas). Cardaillac family were originally from Quercy and Rouergue. In the twentieth century the castle was acquired by Colette de Jouvenel, daughter of Colette and nicknamed "Bel-Gazou" (beautiful chirping in Provençal).